Scholarship and grant programs are available all over the country and, while some of them will be open to students from every state, others will be restricted to students from just one state or even from just one or two counties in one state. Grants are mainly used to fund research projects, while scholarship monies are used to pay for course tuition, to buy textbooks and other school supplies, and to pay for living expenses. 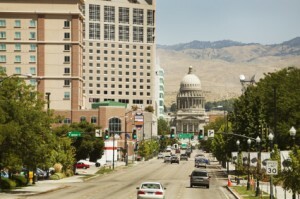 Grants and scholarships that are available in Idaho are administered and funded by such diverse organizations as state universities and colleges, private universities and colleges, and community colleges. Educational organizations, memorial trusts, philanthropic societies, private individuals and private businesses are also responsible for setting up and administering various programs. Scholarships and grants both are defined as ‘gift monies’, which means that the money paid to a student does not have to get repaid by them as is the case with a loan. Graduating from one specific Idaho high school. There are scholarships and grants available for students majoring in every subject and at all levels, so it’s just a matter of finding the right one. Idaho State University (ISU) administers around $10m in scholarship and grant money every year and offers programs for all different types of students, including new transfer students and multi-ethnic and minority students. Students who are interested in obtaining further information concerning the various scholarship and grant programs offered by ISU can contact them directly at The Office of Financial Aid, 921 South 8th Avenue, Stop 8077, Museum Building, Room 337, Pocatello, ID 83209 (tel: 208-282-0211 and website). Applicants must be full time students and must have maintained a cumulative Grade Point Average (GPA) of at least 2.00 (for undergraduates) or 3.00 (for graduates). Students who receive financial aid through other athletic grants cannot apply for the Larry Eckenrode Memorial Scholarship, and those who do apply must require financial assistance. Idaho State University can provide further information concerning this program (see above contact details). This is specific to graduates of high schools situated in Idaho’s Custer or Lemhi Counties who are full-time students maintaining a GPA of at least 2.00. A student must require financial assistance and the number and amounts of the available awards vary each year. Margie Van Vooren Student Leadership Development Scholarship. Brigham-Young University Idaho (BYUI) separates its scholarship and grant programs into those for which applications are needed and those for which they are not needed (here students will be automatically considered when they apply for enrollment). Further information concerning all available programs can be obtained from BYUI C/O The Student Financial Aid Office, 100 Kimball, Rexburg, ID 83460 (tel: 208-496-1015 and website). Having parents who did not graduate from college. The program provides a two-semester half-tuition award, but students can re-apply after the initial term is over. Further information regarding this program can be obtained from BYUI at the above address. Here the successful student will receive a full tuition scholarship plus $250 towards textbook purchases for his first two semesters. This program is open to new freshmen only and factors like extra-curricular activity, leadership potential, church involvement and academic achievement will be considered. These programs do not require applications and all students will automatically be considered for them if they (a) register for classes and if they (b) have at least 30, but not more than 130, cumulative credits at the start of any semester. The College of Southern Idaho (CSI) offers several different classes of scholarship and grant programs including those developed specifically for athletic, cheerleading and dance students. Further information about their innovative programs can be obtained directly from their Scholarship Coordinator at Taylor Building, Room 150, 315 Falls Avenue, Twin Falls, ID 83303 (tel: 208-732-6227 and website). being a migrant farm worker or the child of a migrant farm worker. Further information regarding this program can be obtained from CSI at the above address. In order to be eligible for these programs’ awards, students have to be part of at least one student leadership organization and also maintain a cumulative GPA of at least 3.00. 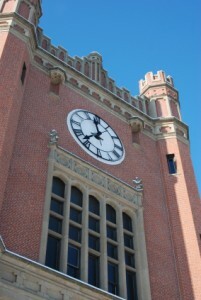 A student must enroll as a full-time student at one of several eligible universities and colleges in Idaho. A 500-word essay stating how their personal study and career goals tie in with those fields that are of most use to NASA missions. The deadline to submit applications for this program, which can be done online, is March of any given academic year. Further information concerning this program can be obtained directly from the Idaho Space Grant Consortium, P O Box 441011, Moscow, ID 83844 (tel: 208-885-6438 and website). I am a senior at LCSC and am out of funding for my last semester which is in Fall 2015. I am looking for grant funding that will allow me to complete my last semester of student teaching.I am desperate and afraid of not being able to finish my bachelor’s degree due to lack of funding. Please help!